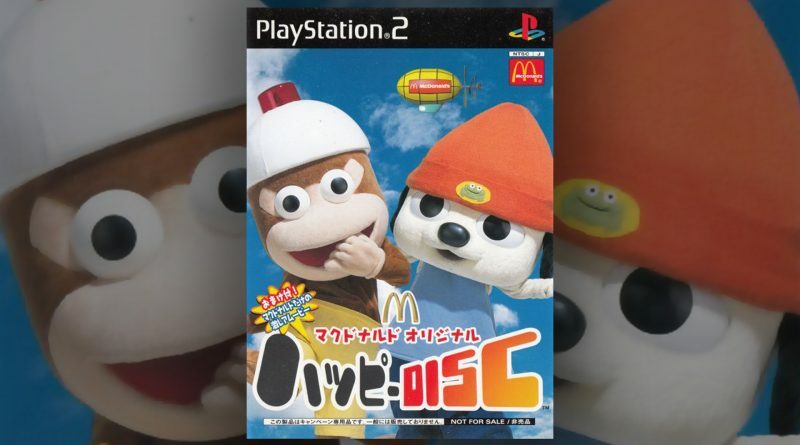 Video: Check out McDonald’s Original Happy Disc (PS2)! Graham and Jenni check out an obscure promotional PlayStation 2 disc from Japan! Included are modified demos of PaRappa the Rapper 2 and Ape Escape spinoff Piposaru 2001, as well as a video of the Piposaru mascot and a pal checking out New York City. Topics include: monkeying around, burger products, odd jobs, great loading screens, vacuuming and laundry, cool dancin’.